Sengled, a company who have over 10 years experience within the lighting industry have sent us the Sengled Boost LED and Wi-Fi Repeater. Bringing a once revolutionary household product and combining it with a Wifi repeater is just ingenious making the Boost a must have product for any household that has dreaded Wifi dead zones. Out of the box the Boost weighs 290g, which is roughly 180g heavier than the bulb I was replacing it with. The weight of the Boost makes it feel like a premium product. The Boost boasts an A+ energy efficiency rating, two built-in antenna supporting high-speed data rates up to 300Mbps and support for WiFi 2.4Ghz. The LED light does not lack in brightness, the Sengled Boost provides 6 watts of warm colour. The device is controlled by downloading the Sengled Boost app from either Google Play or App store. Installation is very simple, I downloaded the app and followed the step-by-step guide, I put the Boost in my utility room, a room with limited WiFi. Sometimes when doing a mundane task such as ironing, the boredom can be lessened by watching a programme on the laptop or tablet. Until now the WiFi signal has never been strong enough to sustain a perfect stream. The Boost did exactly what it was built to do, carry the WiFi signal from my router into a zone that had very poor signal. Not only did the Boost extend the Wifi signal to my utility room I was able to pick up the WiFi signals outside in my garden. For those who are security savvy, do not fear, the Sengled Boost supports common security and encryption technologies like WPA/WPA2 as well as WEP making the connection secure. When installing the bulb to your home network via the app you have the choice to rename the bulb helping you determine which bulb you are remotely turning on. The light uses the conventional light switch to turn on and the app allows you to turn off the bulb when you only need the WiFi extender. Ingenious, with the product being A+ energy efficient leaving this device turned on does not create a spike on electric usage in the house. The Boost also could work as a security feature, if you hear a noise outside you could warn off a passerby using the app to have your house lit up like Blackpool illuminations within seconds. The Sengled Boost gives the ordinary light bulb a new lease of life by giving it dual functionality as a WiFi repeater. Wireless dead spots will become a thing of the past thanks to Sengled. A must have for any home that suffers from poor wireless connectivity. Sengled have a range of other bulbs including speaker bulbs and security camera bulbs. Buying a normal bulb will be a thing of the past…. 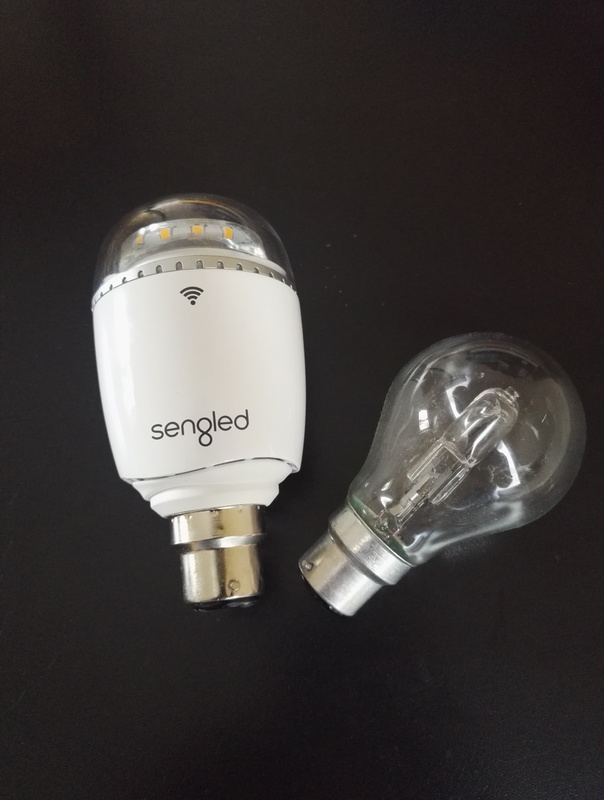 Thanks to Sengled for the sample.